As is typical in Bradbury novels, the long, predominantly confusing first half of this book, with head-scratching, yet beautiful prose, led up to a slightly less confusing conclusion, where I finished knowing a little bit more about what it all meant than I did on page one, but not entirely. An evil carnival comes to town, one which promises old men and women another chance at youth, or tempts little boys with a speedy ride to adulthood. All they have to do is jump on a magical merry-go-round, and oh, of course, pay a small price afterwards… Two boys and an old man discover the carnival’s dark purposes and set out to destroy it. I must say, I almost stopped reading this book a few times because I found the beginning a little too slow, and not at all horrific, which is why I picked it up in the first place. But I’m glad I stuck it out because the second half gave way to some wonderfully demonic prose and happenstance. As such, I recommend this book for horror junkies who like to get at the roots of the genre, the roots which are not always as viscerally scary as Stephen King, but, if you let them, can scare you more than any ghost or shower psycho. 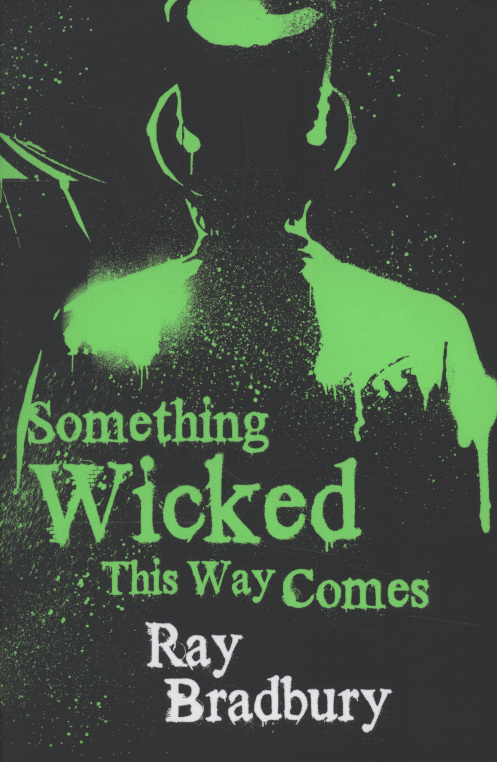 This entry was posted in Book Reviews, Fiction, Horror and tagged book review, books, Circus, horror, Ray Bradbury, Something Wicked This Way Comes. Bookmark the permalink. I read this in high school and remember liking it!